Lucy (Sandra Bullock) is a lawyer – a good one – with a passion for social activism. That activism has put her at odds with the Wade Corporation on several occasions. When she meets George Wade (Hugh Grant) of said corporation, she is not taken with his charm as the women he ususally surrounds himself with are. Nevertheless when he offers her a job as his lawyer, she accepts, hoping that she can affect change from the inside. But soon Lucy is pretty much responsible for everything in George’s life – and that is more than she signed on for. 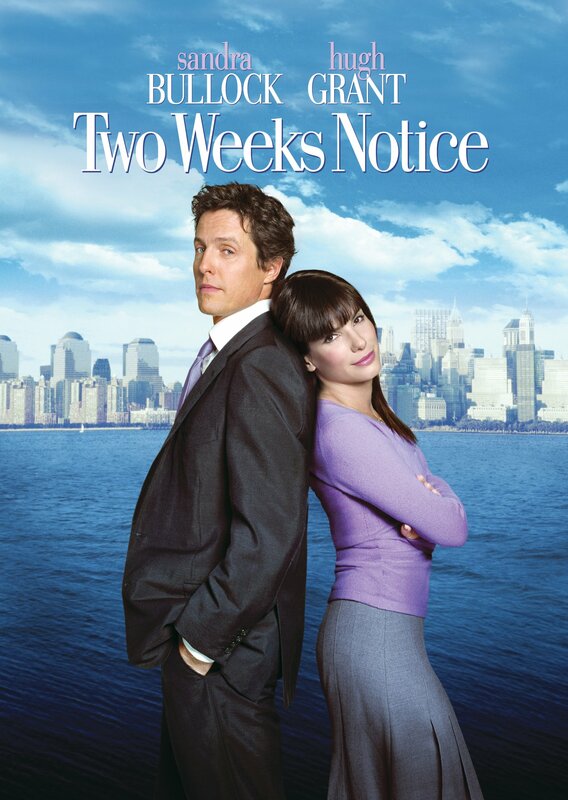 Two Weeks Notice is an absolutely pleasant film. It’s light and fluffy and cuddly and utterly inconsequential. There are many worse things a RomCom can be. 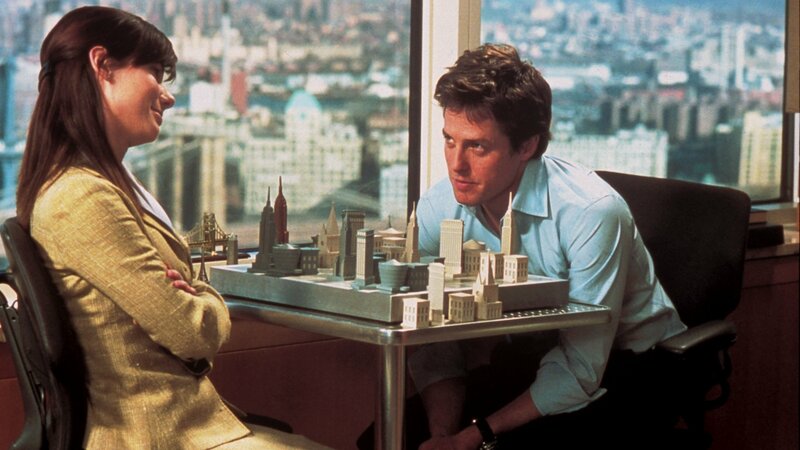 Many years ago, I watched Two Weeks Notice, I’m pretty sure, but I remembered very little about it. That the film evokes a sense of familiarity was probably already the case when I watched it the first time – it’s just so well-settled in its genre. Watching it is like slipping into a well-worn pair of shoes: it’s not fancy, but it’s very comfortable, walked in by the many RomComs that came before it. It’s pretty much what coming home feels like. I think those are enough metaphors to burden my review with. But I do hope they get my point across. 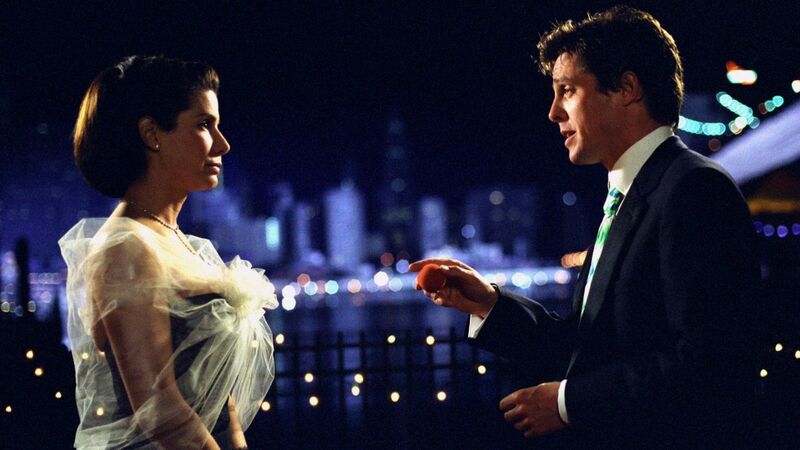 Then again, what else could you expect from a film that stars Hugh Grant and Sandra Bullock, two actors who have made a career out of being likeable (at least for the most part). They are definitely a good combination and are simply enjoyable to watch. It also helps that the script takes care with how to deal with the hierarchy between Lucy and George. Much appreciated. The only thing that really jerked me out of the film’s complacency is the cameo of a certain orange fascist president. I mean, a film set in the real estate scene in New York is the most obvious place where he’d pop up, at least at the time, but I can’t help but feel that this cameo has turned very sinister in the last 15 years. But ignoring that, the film is fun and exactly the thing to watch when you’re looking for a rush of cinematic sugar. This entry was posted in movies and tagged 2002, Alicia Witt, Dana Ivey, David Haig, Dorian Missick, Heather Burns, Hugh Grant, Katheryn Winnick, Marc Lawrence, Re-Watch, Robert Klein, Sandra Bullock, Two Weeks Notice by kalafudra. Bookmark the permalink.